This Folk Victorian style Talbot is a single story home with 3 bedrooms, 2.5 bathrooms and 2,463 square feet. 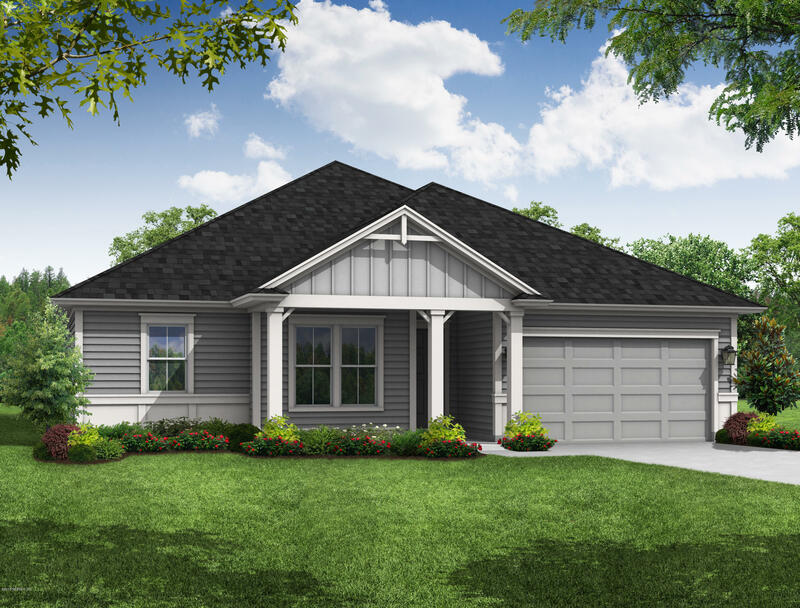 This versatile floorplan is evident as soon as you walk in the front door, with a flex space immediately off the foyer. The gathering room and dining room are both adjacent to the kitchen with views to the outside covered lanai. 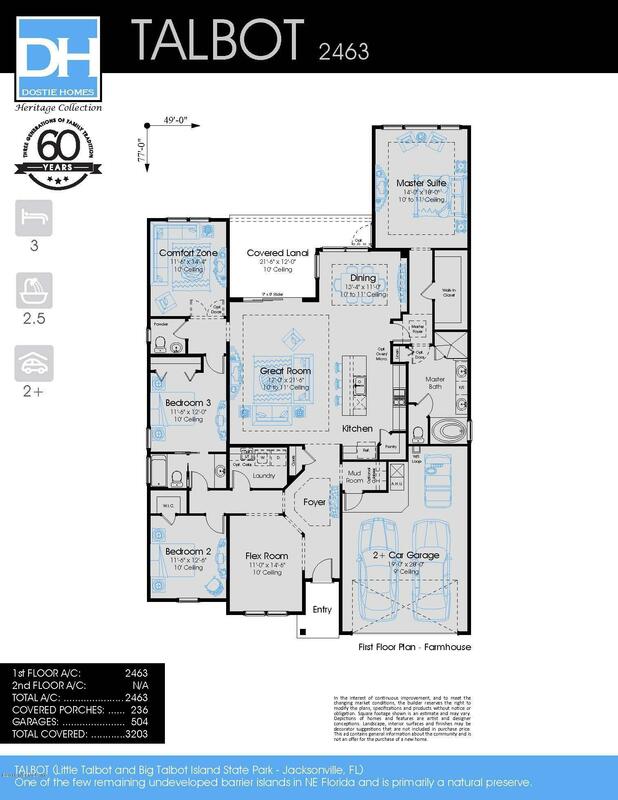 A large master suite with ensuite bath boasts an expanded shower and large walk-in closet for the homeowner. Two secondary bedrooms share a hall bath in a private wing of the home. A comfort zone can be utilized in a number of ways as a bonus room, additional bedrooms or home office, if needed. A 2-plus car garages allows room for a golf cart, which is essential in Nocatee! FROM NOCATEE PARKWAY, EXIT RIGHT ONTO CROSSWATER PARKWAY TOWARDS PUBLIX. FOLLOW CROSSWATER PARKWAY TO CROSSWATER NEIGHBORHOOD. FOLLOW ROUNDABOUT TO FIRST EXIT ON RIGHT. TURN LEFT INTO HERITAGE TRACE. 98 Village Grande Dr is a 2,463 (*estimated) square foot home with 3 bedrooms and 2 bathrooms located in Ponte Vedra FL, ST. JOHNS County. This property is listed for sale at $419,900 and is currently active and accepting offers.